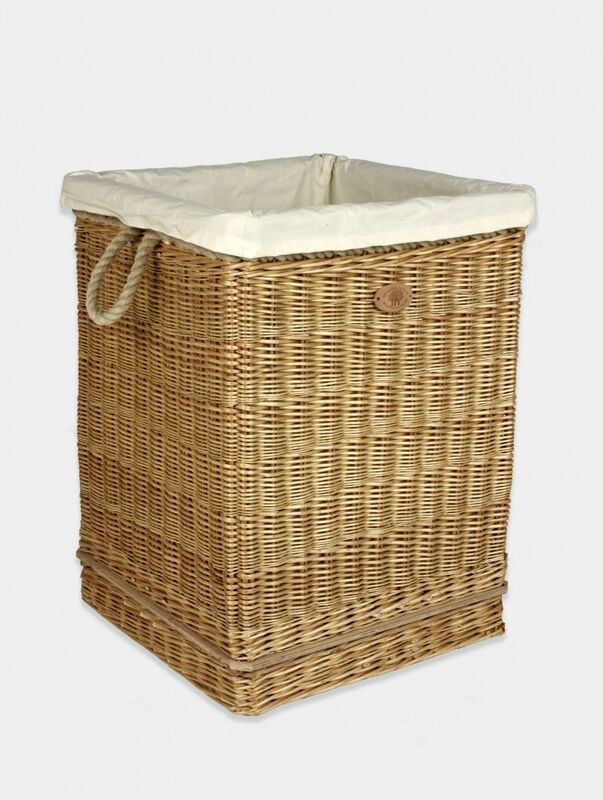 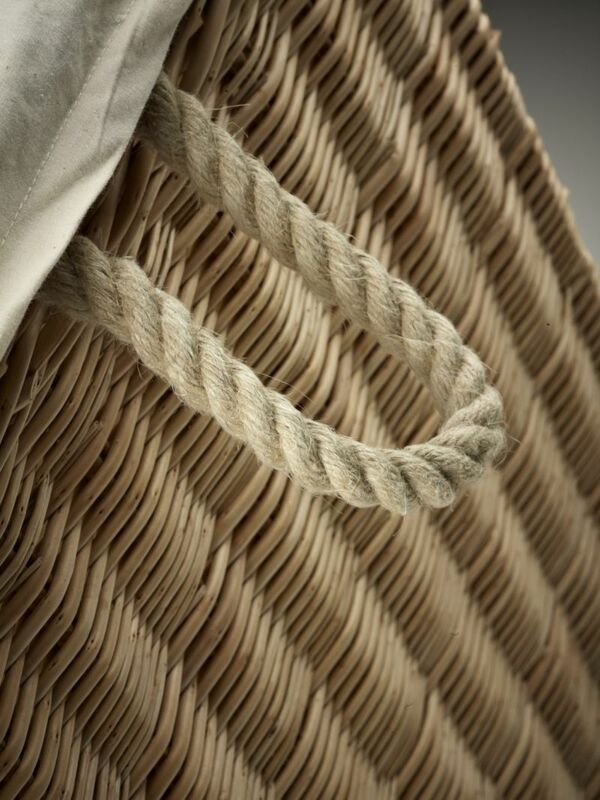 The beautifully handcrafted Ashcott Laundry Basket is shown here in the matured weatherbeaten gold willow finish with interwoven hemp rope handles and a removable calico liner. 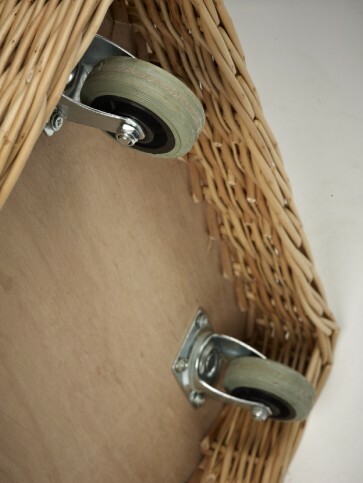 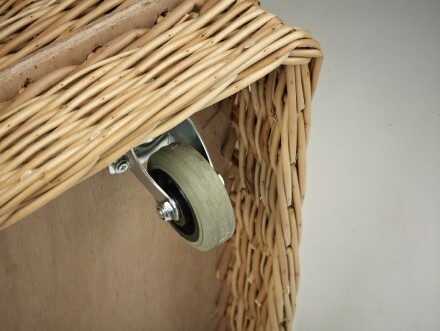 The baskets key feature is the effective castors wheels which are hidden underneath the wooden base, allowing it to be moved with minimal effort. The four castors have been concealed by a sleek wicker skirt which surrounds the base of the basket. 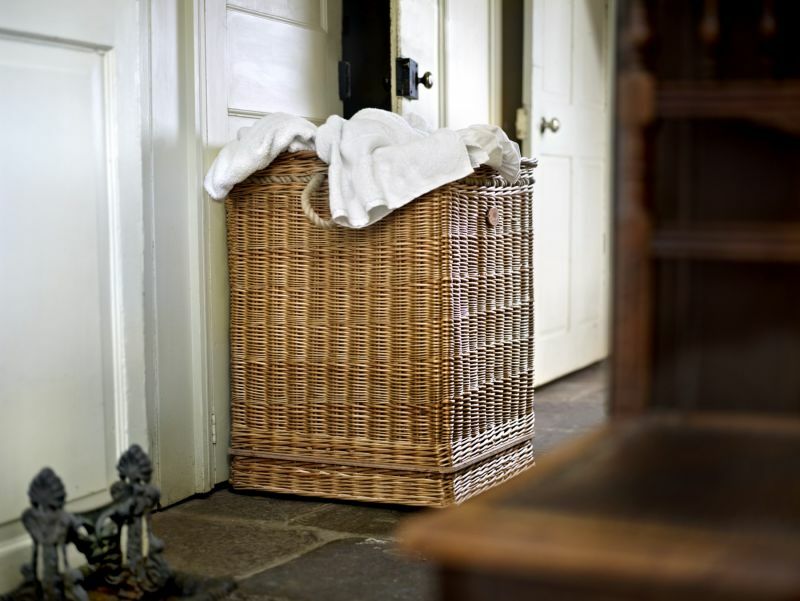 Possessing great charm and elegance, this basket is made by hand in our workshops in Somerset, using locally grown Somerset willow.